Composer Catalog | Software created for writers, by a writer Try Fully Functional Demo! Composer Catalog is a music library organizational tool to help composers keep track of their library. With advanced metadata tagging, you are able to do complex searches and finally keep track of all aspects of a track (i.e., who wrote it, what publishers are attached, session musicians, band sound-alikes, etc) Finally take control of your catalog! 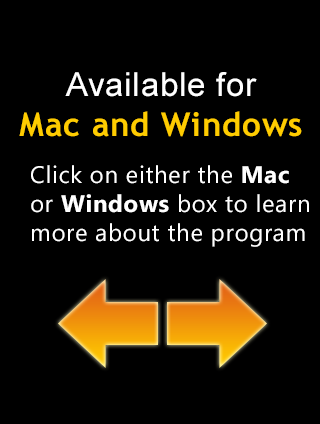 For Windows or Mac. With Composer Catalog, your tracks will be organized and you will be able to instantly pull up any information about a track in your library. You are no longer forced to just being able to search on the typical conditions, such as song title, BPM or genre. 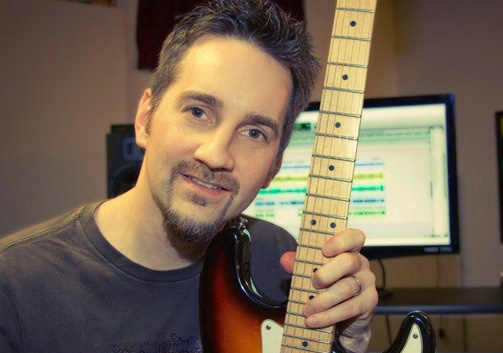 Composer Catalog links advanced metadata to each of your tracks, so that you can find unsigned tracks, tracks that sound like certain bands, alternate titles, co-publishing deals, exclusive tracks, etc. Feel free to try out Composer Catalog. All features of the program are available for your use. The only limitation is that you can only enter a maximum of five tracks. 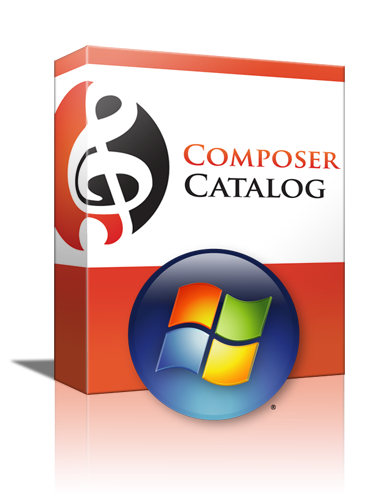 Why not try out Composer Catalog to see if it is right for you? Created for writers, by a writer. Composer Catalog was created for writers, by a writer. No more trying to stuff metadata in mp3 fields. Since I compose music for television and film, I created a tool that would allow me to get a handle on my music library. The music was growing, and keeping track of it on a spreadsheet just was not cutting it! Are you interested in seeing what was added in the new update? After a while, it was painfully obvious that scrolling through a spreadsheet was not the best method or the most reliable. I put the plan in motion to utilize my programming experience and create something specifically targeted towards music composers and their libraries. Breitling Superocean Heritage Replica Watches Buy Best AAA quality Breitling Avenger replica Watches. AAA Best Breitling Colt Replica Watches from China. Replica Breitling Galactic Watches Superocean II 36/42/44,Chronograph Steelfish, breitling replica Best Stores Report,Top quality and Lowest Prices. 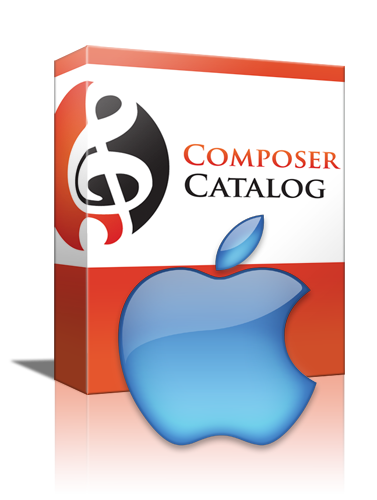 Composer Catalog allows you to take control of your music library by using specific metadata that is geared towards what a composer needs, not just the generic “genre, bpm, author” fields you find in general audio media libraries. With this specifically targeted metadata in place, you will quickly be able to get the information you need. You can also link any music audio files that you have on your system to a track in Composer Catalog. If you have more than one mix, link all the mixes and designate one as the main mix. It does not matter where your audio files are. With the ability to search your library in great detail, you can quickly find the right music. Composer Catalog will allow you to keep track of all writers, publishers and session musicians used on every track in the catalog. 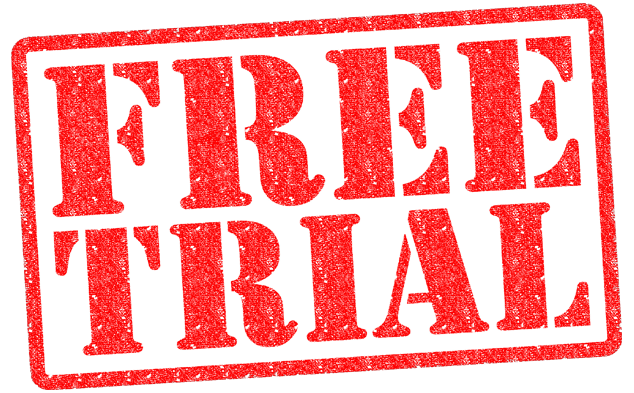 All contact information can be saved for instant access. You can import library tracks from an Excel spreadsheet, a comma separated text file, or just point the program to a directory that houses audio files. Composer Catalog allows you to tag advanced metadata to your track. Some metadata examples are as follows: the track is registered or signed, key, beats per minute, lyrics, track description, moods, instruments used, TV shows that fit the feel, bands that sound alike, non exclusive/exclusive, genre, and composers/publishers/musicians that contributed. With Composer Catalog, you can select any field and put it in any order for your csv export. You also have the option to save the export structure to a template for use in the future. With track profiles, you can create a profile that will auto populate most of the fields when you add a new track. So when you create a new track and bring up the form, the fields that you have filled in for your track profile will populate the form. If you know that you will reuse this profile down the road, you have the ability to save it. Composer Catalog allows you to search on ANY metadata that you enter for the track. The more detail you fill in, the more detailed searches you will be able to perform. When that publisher requests tracks that sound like “insert hip band here”, you will be able to find the result in an instant! All search results can be exported to PDF or Excel spreadsheet. There are reports that can list tracks by publisher, genre, signed/unsigned, registered/not registered and exclusive/non exclusive. 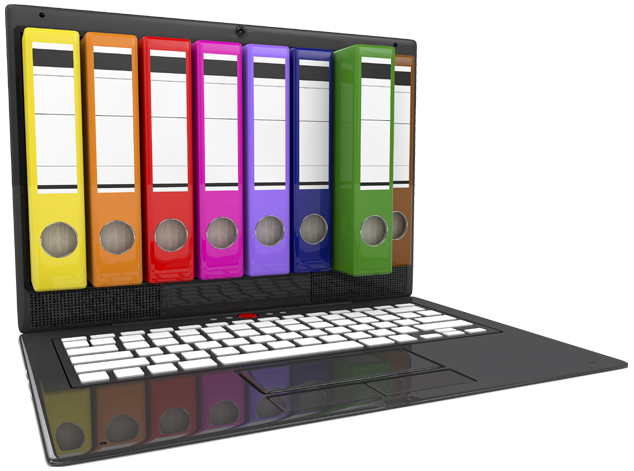 All reports can be e-mailed, exported to PDF/Excel formats and printed. If you are looking for more visually appealing data (a.k.a. “cool looking charts”), you can check out the bar graphs that show the volume of tracks that are signed compared to unsigned, distribution by publisher or genre breakdown. You can also set up reminders for certain occasions. Say your track is coming upon the reversion date for a publisher. You can set up a reminder that will notify you that the reversion date is coming up. Maybe you want to remind yourself that the big television show project you have been working on is due in a month. Just set up a reminder!